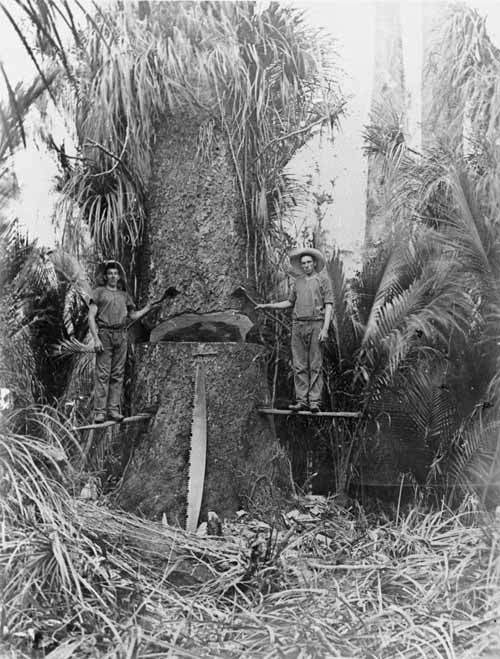 At Ōkahu Creek Bush near Kaitāia in Northland, two bushmen prepare to log a large kahikatea in 1909. They are standing on staging boards inserted into the trunk so they can reach the right point to start the saw cut. Logging by hand was extremely dangerous, and accidents and deaths were common.